Arrow Video have released their schedule for February 2018 and it will be another month of DVD, Blu-ray and dual format releases. Below you will find the February 2018 release schedule for U.K., U.S.A. and Canada releases. 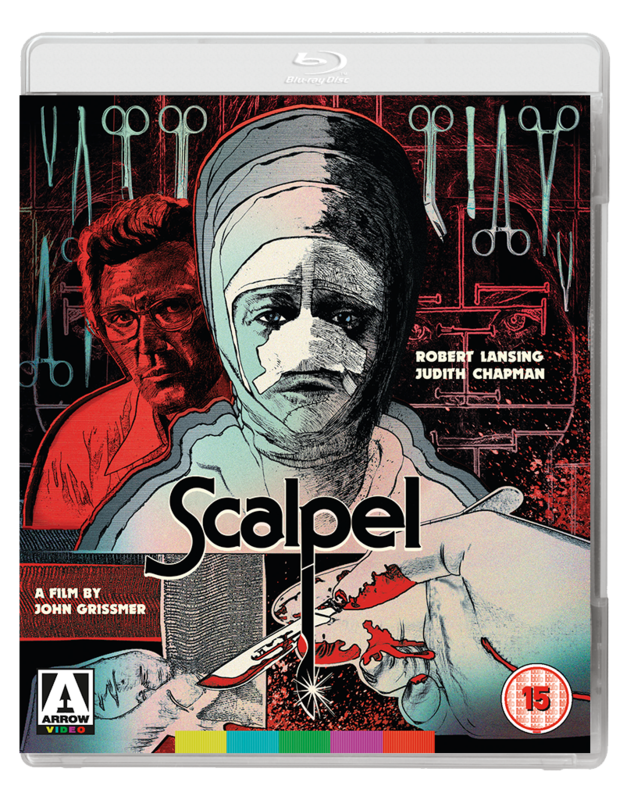 If you missed what Arrow Video released in January 2018 you can find all the details HERE. OH, YES… OUR WIGS ARE MADE FROM GENUINE HUMAN HAIR… AND HOW! After dabbling in the unlikely world of children’s entertainment with the likes of Jimmy, the Boy Wonder and The Magic Land of Mother Goose, in 1967 “Godfather of Gore” Herschell Gordon Lewis returned to genre he helped create with the delightfully depraved The Gruesome Twosome! The young women of a small-town American college have more than just split-ends to worry about… Down at the Little Wig Shop, the batty Mrs. Pringle and her socially-inept son Rodney are procuring only the finest heads of hair – by scalping the local co-eds! Can they be stopped before they clear the entire campus of luxuriant-haired ladies? Also including HG Lewis’ Dracula-inspired vampire epic A Taste of Blood as a bonus feature, this is one Gruesome Twosome that’s well worth flipping your wig over! 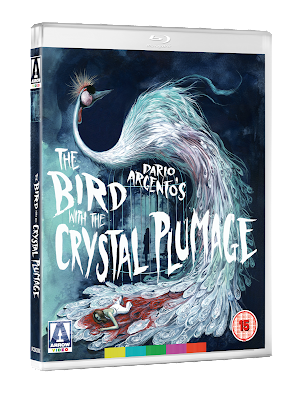 A staggeringly assured debut, The Bird with the Crystal Plumage establishes the key traits that would define Argento’s filmography, including lavish visuals and a flare for wildly inventive, brutal scenes of violence. With sumptuous cinematography by Vittorio Storaro (Apocalypse Now) and a seductive score by legendary composer Ennio Morricone (Once Upon a Time in the West), this landmark film has never looked or sounded better in this new, 4K-restored edition from Arrow Video! 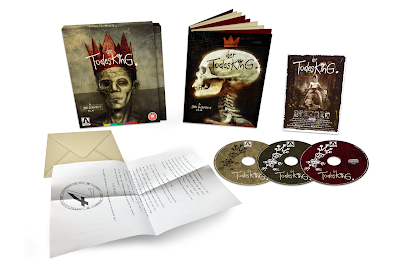 The second feature film from German provocateur Jörg Buttgereit, director of Nekromantik and Nekromantik 2, Der Todesking (“The King of Death”) presents seven suicides across seven days of the week. As a chain letter from the self-proclaimed “Brotherhood of the 7th Day” circulates encouraging its recipients to end their lives, a series of grim murder-suicides unfold. In one vignette, a young woman massacres a room of concert-goers before turning the gun on herself; in another, a man, driven to madness by some unspecified mental disturbance, repeatedly slams his head into a wall before collapsing in a pool of his own blood… These are just some of depictions of death and despair that make up the tortured fabric of Der Todesking. Regarded by many as director Jörg Buttgereit’s most accomplished work, Der Todesking is an existential masterpiece - a powerfully haunting howl of rage from one of the genre’s most underrated filmmakers. THE TENANT IN ROOM 7 IS VERY SMALL, VERY TWISTED, AND VERY MAD. 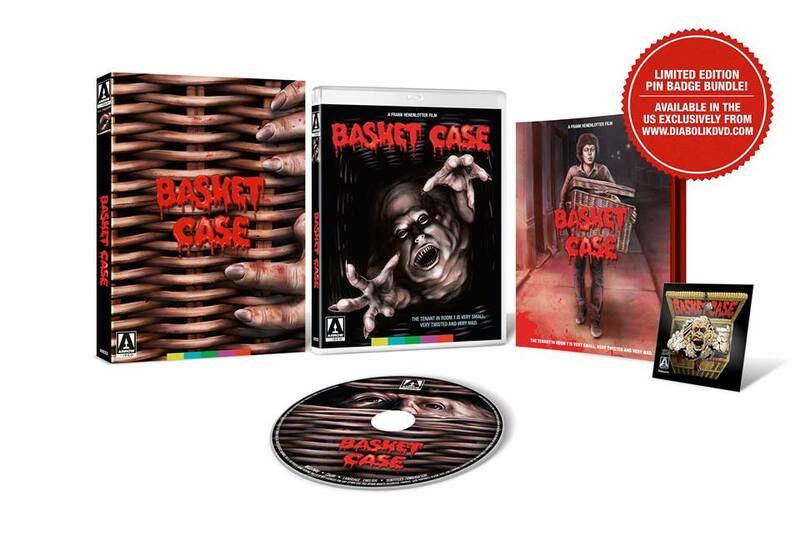 The feature debut of director Frank Henenlotter (Brain Damage, Frankenhooker), 1982’s Basket Case is perhaps his most revered - a riotous and blood-spattered midnight movie experience, now immortalized in a lavish new 4K restoration by the Museum of Modern Art (MoMA). Duane Bradley is a pretty ordinary guy. His formerly conjoined twin Belial, on the other hand, is a deformed, fleshy lump whom he carries around in a wicker basket. Arriving in the Big Apple and taking up a room at the seedy Hotel Broslin, the pair set about hunting down and butchering the surgeons responsible for their separation. But tensions flare up when Duane starts spending time with a pretty blonde secretary, and Belial’s homicidal tendencies reach bloody new extremes. 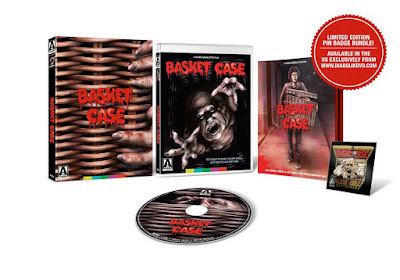 Filmed on a shoestring budget against the backdrop of 1980s New York (where the movie would become a staple of the infamous 42nd Street grindhouse circuit), Basket Case has clawed its way from its humble origins to become one of the most celebrated cult movies of all time.